Contact Stern PR Marketing, LLC. Enter email address for automatic article updates. Google has been gradually implementing this change aimed at making websites less prone to hacker’s private eyes. Adding an SSL certificate to your website, will turn to gibberish any keystrokes someone types into a contact form. When your marketer logs into your website, the username and password she types in will be encrypted, too. HTTPS Everywhere is already in full swing. Right now when using Google Chrome, if you type in your non-encrypted website, you’ll notice in the address bar – an upside down explanation point. Well, according to Google, you have until the first of the year, to add an SSL certificate to your website, or the address bar will switch to “not secure” anytime anyone goes to your website. Few people may risk visiting your website that has a “not secure” message in the address bar. It gives the impression of a lack of trustworthiness and credibility that the content they view may not be safe. So adding an SSL certificate right away is an absolute must! Be aware. Sometime after January 2017 – the warning will look even more pronounced, and in red! That said, the White House issued a mandate in 2015 that all federal agency websites must add SSL encryption – also taking the lead in beefing up website security. Moving from HTTP to HTTPS SSL certificate encryption is not a DIY project. Godaddy.com which facilities one step of the process, reports you should expect 24-72 hours for the certificate to be issued. Note: there are several types of certificates. A basic type will suffice for sites that don’t take credit cards. After the migration, it’s your marketers job to manually switch all image URLS, run bug testing and check other processes to make sure every post, page and image on your site has moved over to HTTPS. Your marketer will also need to notify Google webmaster tools of the changes. Beside the cost of the certificate which runs about $80-$125 a year, you’ll need to budget dollars for your marketer to complete the entire switch, which could take several days or more. Depending on if any problems arise, your website may be down, so a “under construction” graphic with your company’s contact info may be a wise move. All in all, moving websites from HTTP to HTTPS is about making the web safer for everybody. It appears that Google is the only website browser, at this juncture, that is ahead of the trend by mandating that everybody with a website, from mom and dad’s photography blog to small, medium and large business and organizations jump on the HTTPS bandwagon. 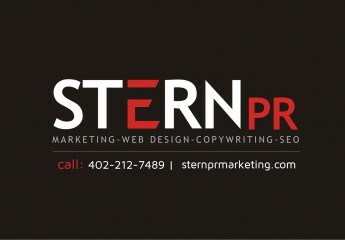 If your organization needs assistance in making the switch, contact Stern PR Marketing in Omaha today.